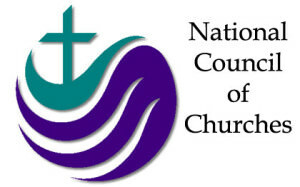 Founded in 1908, the National Council of Churches was created as a way to enable collaboration between many Protestant and Orthodox denominations in the United States. The goal of the organization was to create a massive group of congregations that could work together on everything from faith-based charities to outreach and ministry. This group of congregations makes it easier to reach more remote populations and serve communities most in need of the Christian church’s outreach programs, financial support, or other issues facing smaller congregations at the start of the 20th century. Since its inception, the organization has grown significantly, changing it mission to meet changing times for American Christianity. Perhaps the most impressive thing about the council is its ability to bridge the differences between various American churches within the Christian faith. Since it was founded in 1908, the organization has brought together so-called “mainline” Protestant churches, African American, Orthodox, and Evangelical churches. The group even includes a large number of “peace churches” located throughout the United States. Thanks to the group’s inclusiveness, the council now serves more than 100,000 congregations in the continental United States, Alaska, Hawaii, and Puerto Rico. Originally founded to help support smaller congregations and developing branches of Christianity in the United States, the NCC has evolved over time into a semi-political body that represents each of the denominations in its ranks. Political activism began to take hold in the organization during the 1960s and 1970s, primarily due to outrage about the Vietnam War. Many denominations within the NCC voiced their opposition to the conflict, holding that it was counter to Christian ideals. They pushed for a quick end to the war and a renewed focus on American diplomacy, keeping in line with what they believed was taught in the Bible and other sacred texts. Today, the NCC has moved beyond pushing for American diplomacy. In recent years, the organization has pushed for a raise to the minimum wage, an increase in civil rights for various minority groups, affirmative action policies, and even environmentalist concerns. As with its policies regarding the Vietnam War, the NCC holds that these political fights are based on the teachings of the Christian faiths, especially by the denominations within its 100,000 congregations nationwide. One of the biggest contributions of the NCC to current Christianity is its modification of the Bible. The group is primarily responsible for two versions of the text, including the original Revised Standard Version of the Bible and the New Revised Standard Edition, that has become a mainstay within many Protestant denominations around the world. The creation of these two versions of the Bible was an interfaith effort, and helps to explain why both versions have remained among the most popular nationally and internationally. The NCC is also largely responsible for contributing to a uniform series of Sunday school lessons as well as the Yearbook of American and Canadian Churches. The NCC was created as a way to support smaller congregations and Protestant denominations, but it has evolved into a major publishing and political organization with a faith-based commitment. Today, the National Council of Churches represents 100,000 congregations throughout the United States and is one of the most influential publishing and political groups for Protestant congregants in America.